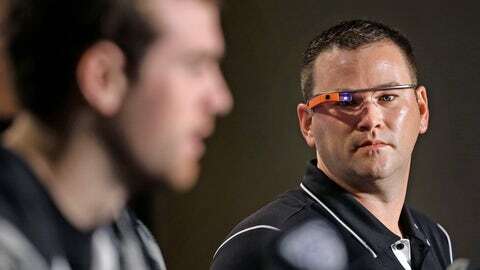 Why did Stanford OC wear Google Glass to Rose Bowl media session? The Stanford student body and alumni base identifies with a certain moniker, one befitting the tech-savvy region in which the university is located. The name? It’s a quirky name that represents the best of Stanford, and Cardinal fans everywhere are proud of it. So are those who represent the football team. After beating Oregon in early November, some players honored Nerd Nation by wearing "nerd glasses" to their postgame interviews. "It’s my way of paying homage to Nerd Nation," Bloomgren told reporters. "I’m the tech member of our staff." Bloomgren said he could see Glass becoming an actual part of college football, helping coaches (and others?) on the field. Maybe only a coach within arms length of Silicon Valley tech giants could think of such an idea, but with the way technology is evolving and seeping deeper into sports, the concept doesn’t seem so out there.